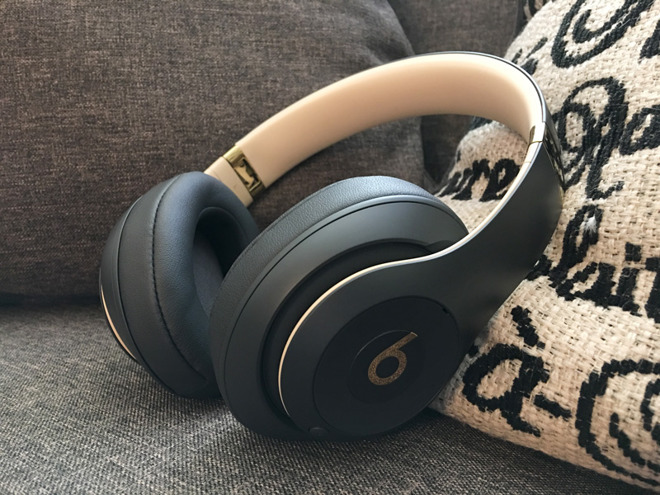 Apple's newly-available Beats Studio3 Wireless headphones are the highest-end model the company offers —short of the appropriately named Beats Pro. AppleInsider offers a first look at the new hardware. Like last year's Solo3, the Studio3 features Apple's W1 wireless chip, which enables rapid Bluetooth pairing with iPhones and iPads, though conventional pairing is also an option. The chip also offers a Class 1 connection, with better range and reliability. A few things separate the Studio3 however, above all something Apple calls "Pure Adaptive Noise Canceling," or Pure ANC. This reduces or eliminates ambient noise such as fans or traffic, and can be toggled on and off at will by double-tapping the power button. For still more isolation the headphones use an around-the-ear design, rather than on-ear like the Solo3. Once the Studio3 is paired, it becomes available to any recently-made Apple device signed into the same iCloud account, including Macs and Apple Watches. Devices must be running at least iOS 10, macOS Sierra, or watchOS 3. 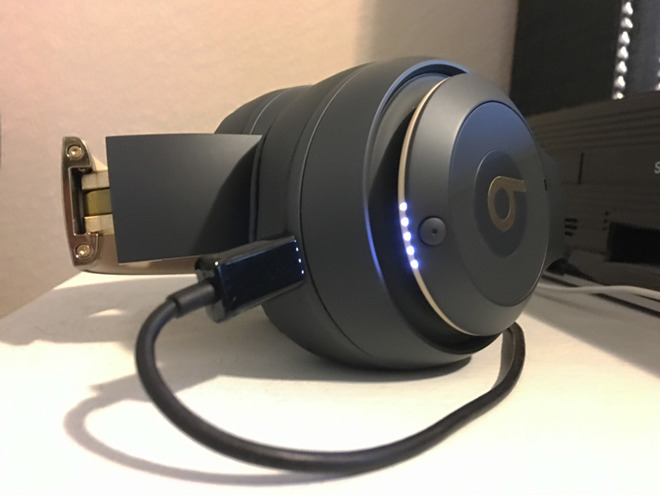 Another similarity with the Solo3 is something called Fast Fuel charging, which in this case translates to 3 hours of playback with just 10 minutes of power via micro USB. Speaking of which, while Apple promises up to 40 hours of battery life with Pure ANC off —the same as the Solo3 —that drops to 22 hours with the technology on. In wireless mode, playback is controlled using the headphones' "B" button, with options for play/pause, volume, and skipping forward and backward. Depending on context, the button can also be used to answer phone calls or trigger Siri. Bundled with the Studio3 is a carrying case, a micro USB cable, and a 3.5-millimeter stereo cable with a built-in remote. 3.5-millimeter connections will work without pairing or even switching the headphones on. 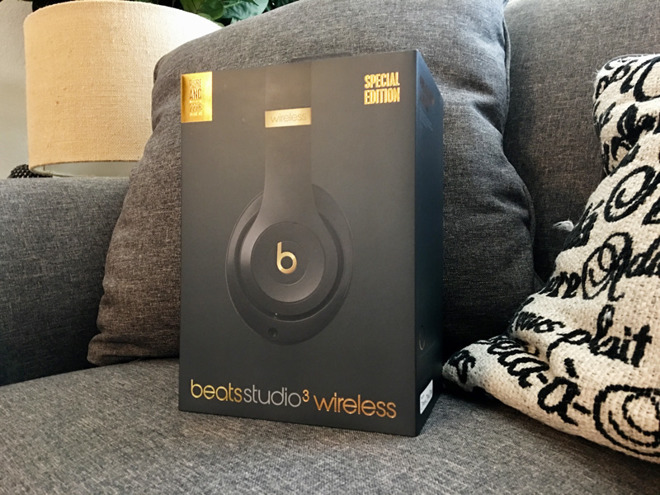 Apple is charging $349.95 for the Studio3, $50 more than the Solo3. There are six color options —white, red, blue, matte black, shadow gray, and porcelain rose. Stay tuned to AppleInsider for a full review, coming soon.